'Shaktimaan Season 2' is an upcoming serial which will be telecast on Doordarshan. The show will be telecast on Doordarshan National and will be aired on Saturday and Sunday.The show is produced by Mukesh Khanna. 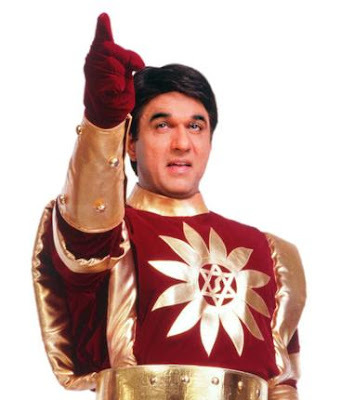 Shaktimaan received powers from seven gurus who trained and blessed him with "yogic shakti which was natural power." He was the chosen warrior against evil by siddha gurus of a cult named Suryavanshi. They are followers of the star Sun. As part of training, he trained with Kundalini Yoga to awake the 7 chakras of body and gain 'supernatural' powers from them. To gain complete control over his powers he performed the ritual of death. However, this did not cause death but made him more alive than when he was a normal man. He also performed Yajna in which he entered the fire himself and dissolved his body in fire.